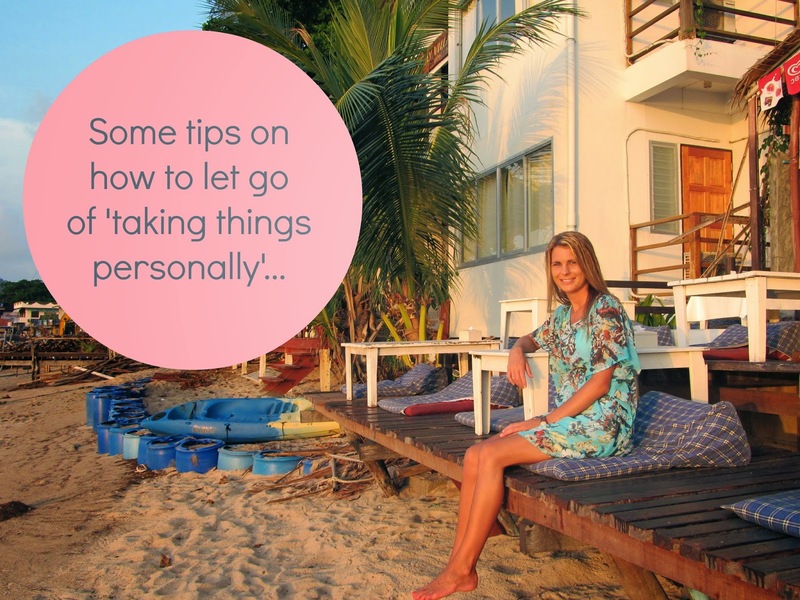 Caitlyn de Beer: Why I am over taking things personally....and YOU should be too!! Why I am over taking things personally....and YOU should be too!! You know that feeling, when you literally sigh with relief after finding out that others also do/think/feel that ‘strange’ thing you do/think/feel. Kinda like, when I quite-literally sighed with relief after getting my hands on “The five love languages” book – at last it all made sense. Him. Me. Our language. I got it!! Well along these lines, this past month of May, has been one long sigh of relief for me…and it all centered around ‘my needs’. Yes, my needs. I said it aloud – is that even allowed?? You see for years I, along with most of the world (I feel), have had feelings that simply don’t go away. Certain actions done by others, or situations or a bunch of ugly circumstances often cause me to go into what I call, “My safe space – that’s really not safe at all”. To deal with ‘uncomfortable’, we rely on emotions (which turn into actions) that come naturally to us, and those then dictate how our day, week, or even month will turn out. So someone upsets you, you get sad – and you often take it one step further, and make it personal. Or something you organized doesn’t go as planned and you turn it back on yourself and reinforce all the negative things you believe about yourself already. Or worse still, a problem presents itself that doesn’t appear to have a solution, and so you get frustrated. And it doesn’t go away. And then, you turn that frustration inwards. This month, for me, was all about networking. I can officially say that I haven’t passed-by one opportunity to meet with mentors in my industry, brainstorm with other creatives & business owners, attend training days and even small conferences. This month, I got out there. And if there is one thing (that for some or other reason) kept creeping into every meeting I had, it was this idea of “needs”. But truth be told, it’s not all about you….well, not in the way you think. We are all born with a certain set of basic needs. Then, through a mixture of upbringing, personality and choices, we start to form agreements with certain thoughts or ideas, and those become the truths we live by. The thing is, those are your truths, and may not be mine. As soon as we start to see a person’s behavior, speech and ideas in isolation (i.e: according to their belief system they think this is right/wrong), we free ourselves from taking things personally. To take something personally is to admit that we all have the same belief system, agreements/thoughts – which is impossible. I say and do things that protect my needs, you say and do things that protect yours. OURS are different. To take something personally is to submit to someone else’s agreements (what they feel is right/wrong), and yet for the most part – you don’t. It is an art to start to see people’s behaviour and words from where’s they came, and to not take them on as our own. By reflecting on why a certain person may have felt the need to behavior or act in such a way, you are able to free yourself up from self-judgment and make it ‘their issue and not yours’. I am not saying that everything everyone says should be said, but that’s their journey (their set of truths they live by) and it’s their responsibility to deal or challenge those beliefs; it’s not for you to take on. May you be empowered today, to see each set of actions or words spoken by both yourself and others, as mere expressions of their/your personal agreements (thoughts) and thus not for anyone else to take personally. It is freeing, and I am working on it, alongside you.